Halloween? Already? How is that possible! 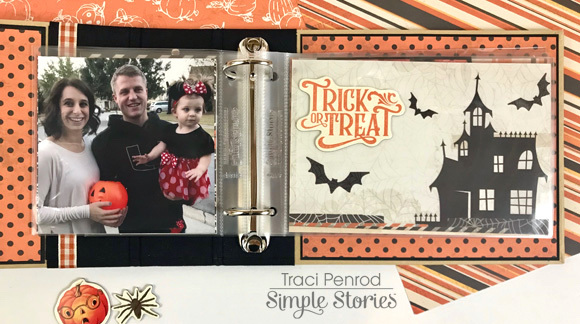 But it will be here before we know it and I had lots of fun getting this fun Snap album ready for our not-so-spooky holiday. I love the colors and patterns in the Simple Stories Simple Vintage collection. 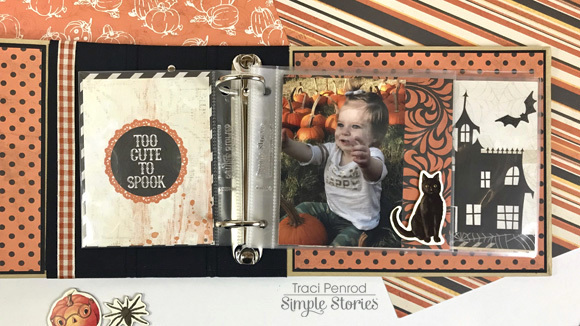 Fun plaids, stripes, and polka dots paired with lots of cute chipboard pumpkins made this album come together very quickly. I also love how the papers and element cards have a distressed, vintage feel! How cute is my little granddaughter?! These photos are from last year, and now I will just continue the album with photos for each year going forward. 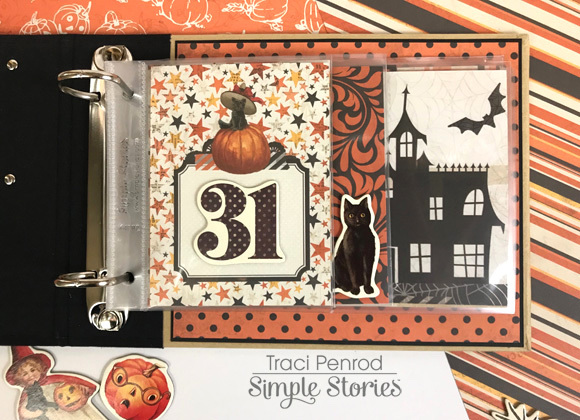 I also plan to make my album part of my Halloween decor, so that family and friends can flip through the cute pages each October. 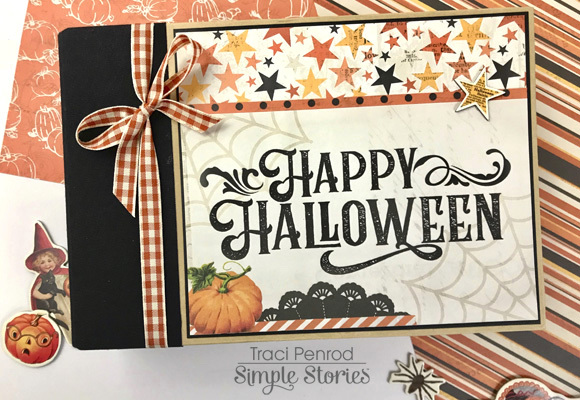 I hope you love Simple Vintage Halloween as much as I do!